On the Way: The profiling issue from an Afghan traveling to the U.S. 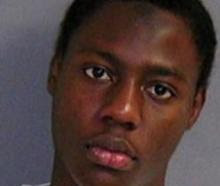 The profiling issue from an Afghan traveling to the U.S.
After the unsuccessful terror attack on an American jetliner by suspect Umar Farouk AbdulMutallab, a 23 year-old Nigerian, security at international airports is getting tighter. In the days after the incident, President Obama vowed to “disrupt and dismantle” every possible threat against the U.S. and ordered enhanced screening and security procedures for all flights, domestic and international. These measures are smart, but they increase the concerns for those travelers who might be suspected by their nationality or religion. Last week, a viewer called into CNN, to say that anyone who has a Muslim name should not be allowed to fly into the U.S. I have been profiled just because I am coming from Afghanistan, have a Muslim name and identify myself as an Afghan. I personally believe that judging travelers on their ethnicity and religion is not fair. Psychologically, it is disturbing and annoying to be interrogated just because of your nationality. Instead, the security should be reformed and new technology should be developed and used to determine who is actually dangerous. After the recent incident, there is much discussion in the media about profiling, security screening and issuing special security checks for people coming from mostly Muslim countries. The new order for an extra security check for bag and pat down includes 14 countries. Afghanistan is one of them. I personally feel comfortable with any kind of security measures that take place at the airports, and I do not find it offensive even to be strip-searched as long as security is the reason. I am from Afghanistan, and I have always experienced tight security at international airports and it doesn’t bother me. But the only thing that concerns me is profiling. As an Afghan, I have faced lots of difficulties at international airports. The security personnel at the airports asked me questions I have never heard, and inquired repeatedly about my destination. For example, this past August when I got my visa from the U.S. embassy in Kabul to come to the U.S. to attend college, I was stopped at the Dubai airport and questioned more than ever before even though I have traveled to the U.S. before. The security at Dubai international airport was not honestly to check my bags but instead the security worker interrogated me about what I have been doing all my life, questioning me as if I were a member of al Qaeda or the Taliban. Even though I had already passed through security, my bags had been checked and the security personal had stuck a special security sticker on my passport - the security personnel didn’t let me on board while I was in line. He kept me until all passengers were boarded. While he was holding my passport in his hand, he moved around and finally found a camera and a scanner to take my picture and scan my passport. I got on the plane only five minutes before the boarding gate closed. It made me upset and annoyed just because I was profiled based on my nationality. The effect didn’t leave me until I reached my destination. It is true that most of terrorist attacks have targeted Westerners, and that most terrorists are Muslim. But it is bigoted to judge people according to their religion or nationality. Such extreme measures would be profiling people based on their race, not evaluating them as individuals. Since September 11, 2001, the security at airports has been effective enough to prevent terrorists from entering the United States, but the case of AbdulMutallab proved that the U.S. intelligence was not capable or failed to conduct a pre-emptive action. Thus, as the U.S. admitted that its security failed to prevent the Christmas Day attack, al Qaeda has proven itself to not be confined to Afghanistan and Pakistan, but that it is also in Gulf countries like Yemen. The security was not smart enough to track down a 23-year-old man wandering around and boarding at an Amsterdam airport. It is good to have to be checked to ensure security but it is devastating to be treated and interrogated the same manner as a suspected person, just because I am sharing the same type nationality. In August 2007, a 7-year-old Muslim boy was stopped in the U.S. three times on suspicion of being a terrorist. Also, in August 2009, the Bollywood star, Shahrukh Khan, was stopped for questioning at Newark Liberty International Airport which enraged his fans in India. Finally, it would be good to investigate and recognize the suspected person before issuing him/her a visa and before traveling to the United States. Profiling is wholly inappropriate and will enrage people who are innocent. Looking for Muslim names and names similar to al Qaeda members that are blacklisted is not smart. Profiling based on nationality breeds anger only. Instead there should be effective and aggressive plans to track down the threats from those who are truly dangerous.